Home » »Unlabelled » Chinese man married to a Pakistani Girl from Sargodha after facebook Love Story ! 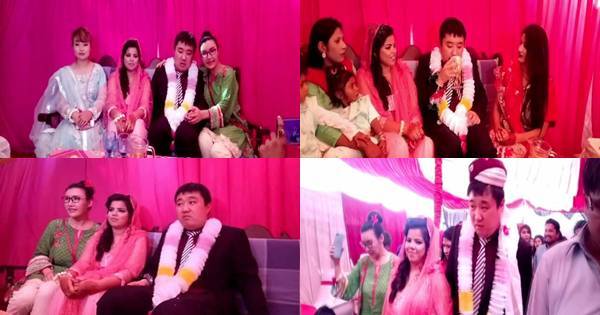 Chinese man married to a Pakistani Girl from Sargodha after facebook Love Story ! A Chinese man came to Pakistan to marry a 21 years old girl from sargodha whom he met on facebook. Twenty-six-year-old Budio from China and 21-year-old Shamaa from Pakistan’s Sargodha city tied the knot Sunday evening at a ceremony filled with zest and fervour.